As you pull into the parking lot at Blueberry Pines, you can feel the anticipation rise as you are welcomed by our Majestic Log Clubhouse. It beckons you inside to be greeted by a staff that is awaiting your arrival, because&.. "The Fun Starts Now". About two and a half hours north of the Twin Cities sits the Minnesota Golf Trail, whose nine courses stretch from LongBow to the north to Balmoral to the south. 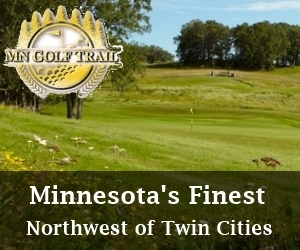 The Minnesota Golf Trail delivers consistently great golf. For example, Thumper Pond, built in 2001, was named a "Must Play in Minnesota" course by GOLF Magazine, the Detroit Country Club features two challenging courses, and Blueberry Pines serves up large greens that are generally protected by sand or water or both. 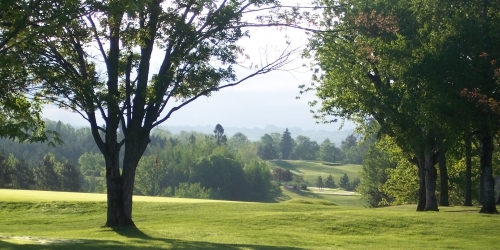 All in all, the Minnesota Golf Trail gives most of us plenty of reasons to head north.